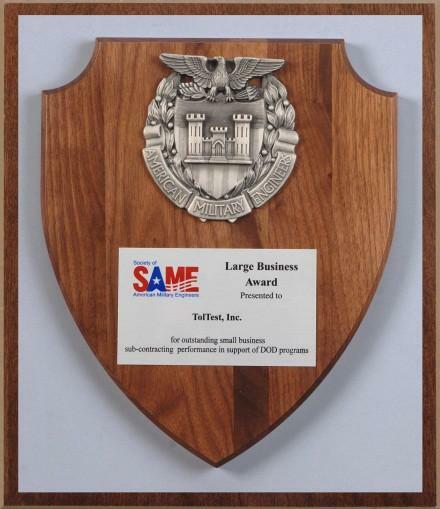 In 2010, LGC’s predecessor was awarded the prestigious 2010 Large Business Award from SAME for outstanding Small Business subcontracting performance in support of Department of Defense programs. LGC earned the award based on our continuing efforts to enhance our pool of qualified and capable Small Business vendors, suppliers and subcontractors. These efforts include in-house training and participation in conferences and events involving Small Business Concerns and our active participation in the Small Business Administration. LGC recognizes the significant role that Small Business Concerns play in providing services, products, and job creation that impact our local, state, and national economy. Accordingly, we have made the utilization of Small Business suppliers and subcontractors an integral part of LGC’s business philosophy. Our historical practice in subcontracting, teaming, and mentoring Small Businesses attests to our commitment. We believe that where we can help Small Businesses succeed – we all succeed. Through our various outreach efforts, we continually seek to enhance our access to and promotion of new capable and qualified Small Business vendors, suppliers, subcontractors, and teaming partners. As our federal business base continues to grow, the need to increase our Small Business utilization also increases. We are committed to do our part to promote, encourage, advocate, and utilize these entities. One of our most effective avenues of outreach is our on-line Plan Room, which allows Small Business Concerns to acquaint us with their qualifications and capabilities and receive alerts when new project opportunities are posted. LGC also has a Small Business Liaison Officer on staff to coordinate the various Small Business requirements between our clients, our procurement department and company-wide associates. Small Business Concerns have played a significant role in our success story. They have provided consistently high quality, timely, and cost effective assistance, allowing us to exceed our customer’s expectations while helping to diversify and grow our national economy. We look forward to working with more of the growing number of very qualified and capable small business concerns throughout our industry and country.